[RetroPicks] The revenge of SNES – I ❤ Old Games! After the overload of NES games I showed you in the previous RetroPicks posts, this time I’d like to tell you about the lot of SNES games I’ve bought. 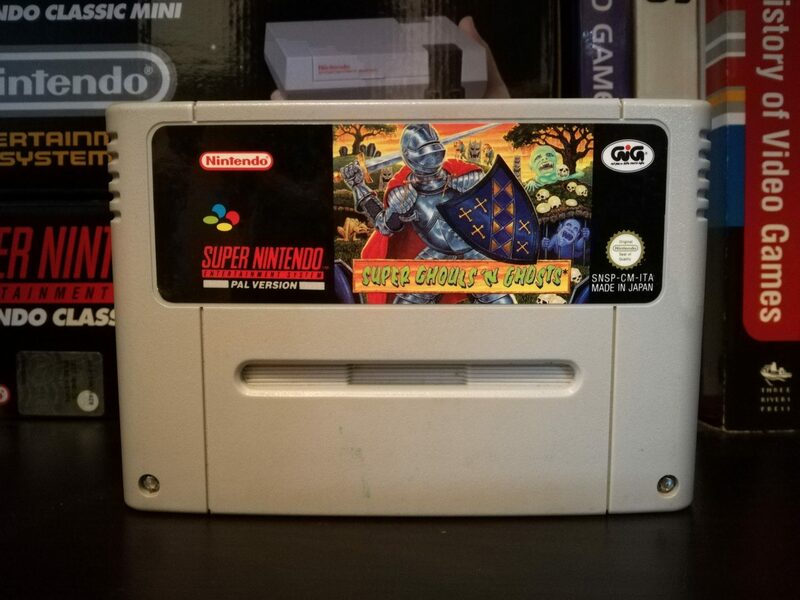 I’ve happened to find an italian seller who listed a lot of SNES cartridges, like 150 and, even though some of them were quite pricey, I found others very interesting and rather inexpensive. All of them came unboxed and without manual but I’ve decided that for the moment, at least for NES and SNES games, I won’t be looking for complete editions. All the boxes are cardboard ones and the polystirene inlays are often damaged. And finding cardboard and plistyrene still perfect after 30 years is so difficult that even the most common games are too expensive. These are the only two consoles (as well as the Atari 2600) for which I’m not looking for boxes while I always tend to have them for SMS and Mega Drive, since, being made of plastic, is more difficult that they’re torn or heavily damaged. Let’s start with the less exciting games. 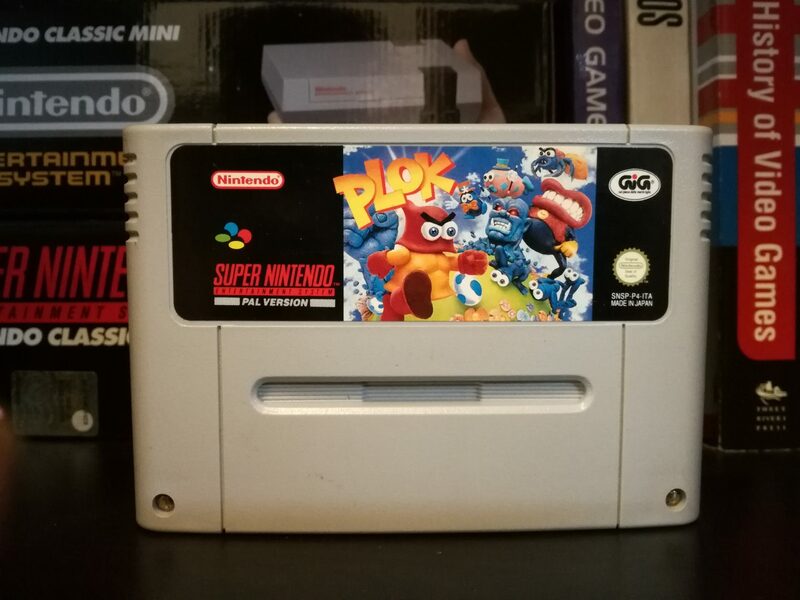 The first I’ve bought is Plok. Good old platform game, a lot of colors, cartoonish style but nothing special. Released towards the end of the platformers craze it rapidly fell into oblivion but it’s a decent game, if you like the genre. One thing that’s remarkable is the soundtrack by Tim Follin. 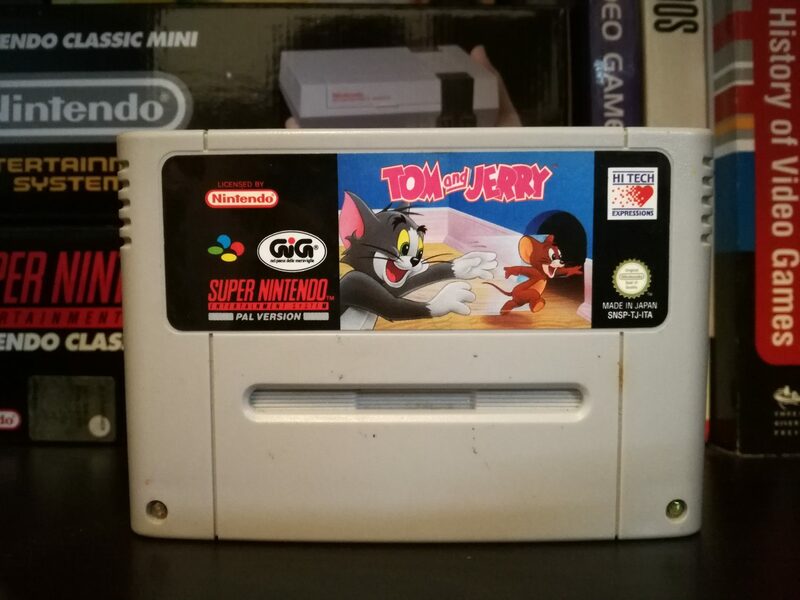 Then I had Tom & Jerry which is a game I was curious to have since I played a lot the NES version, which was one of the game I had for my NES as a kid. I still find better the 8-bit version, even though I might be iased for having played it for 5 years continuously as a kid. 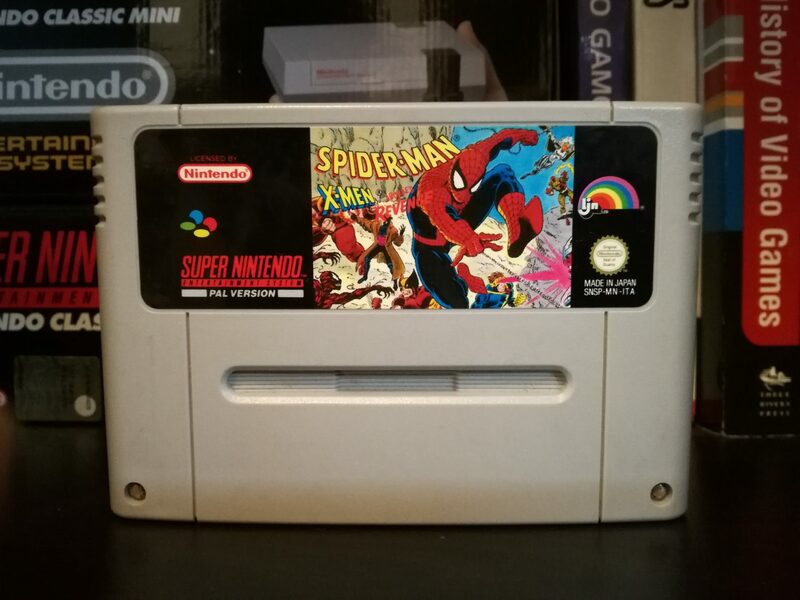 Another game I’ve bought is Spider-Man X-Men Arcade’s Revenge. I’ve never been a huge fan of superheroes so Spider-Man and X-Men are not what I can call my bread and butter. However I wanted to see how they blended the two Universes (Marvel and DC). Well, as far as I’m concerned this game doesn’t look like a masterpiece; I actually found it a bit dull with an inconsistent gameplay but I reserve the right to decide after playing it more in depth. The last two games are the most interesting of the lot. 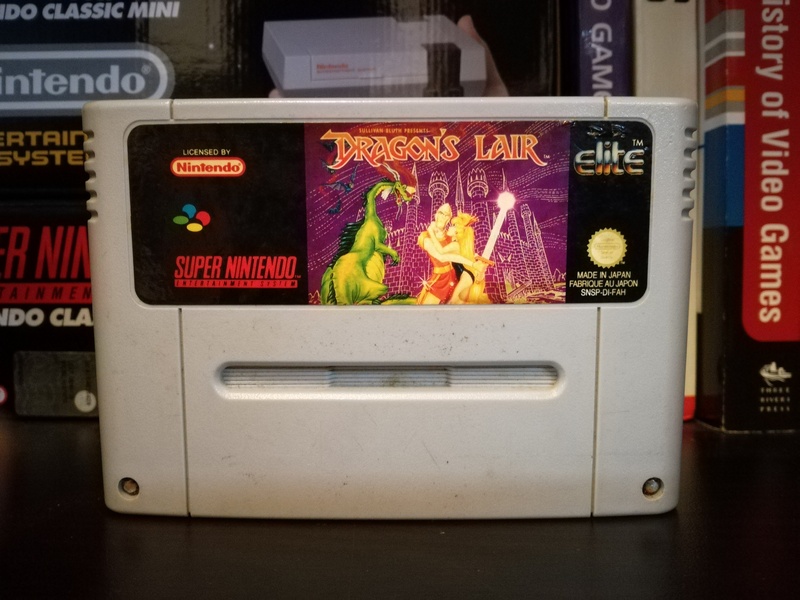 The first is Dragon’s Lair and I’ve bought it just to check if it was unplayable like the NES version. The graphics are ok and the game looks at least more playable (it wasn’t so hard, actually): let’s see if the premises will be fulfilled. Good find on Super Ghouls and Ghosts! It’s a great game but is so hard! I can barely pass the first half of the stage! That’s pretty good going – those games are damn hard! It would take an astounding amount of effort to produce something worse than the NES version of Dragon’s Lair. Even with my limited knowledge of it, I could say the SNES version is better. Great haul. You’ll have one hell of a time trying to beat Super Ghouls, and Ghosts. I even have it on my Wii U thanks to a sale on the Wii Shop Channel back in the days of the Wii, and even with save states it’s nearly impossible. Great game though! Super Ghouls and Ghosts is like all the game difficulty in the world stuffed into one cartridge. I also can’t get past the first stage in that one and I want to throw my copy out the window. I’m sure you (and me!) can get better with practice!